Recognized as "an entrepreneur bringing innovation to classical music" (Forbes), Chad Goodman leads an active and diverse conducting career. 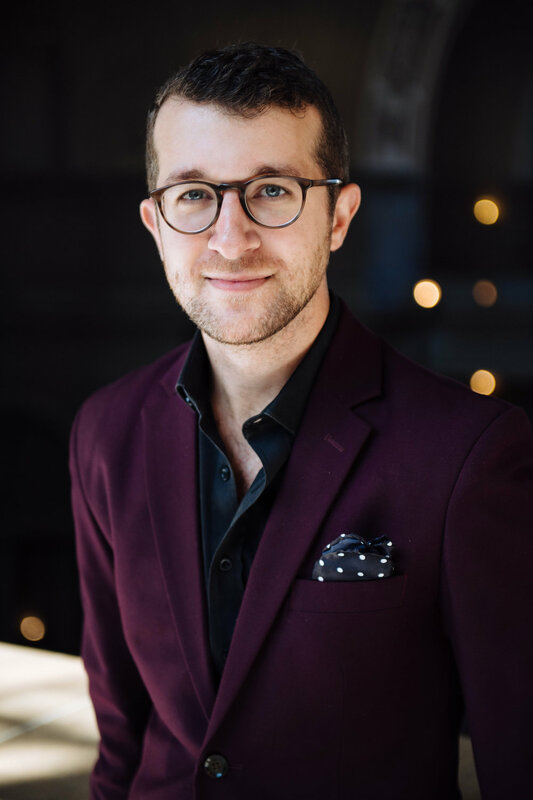 The newly appointed Conducting Fellow of the New World Symphony in Miami Beach, Florida, Chad will begin working with the orchestra and Artistic Director Michael Tilson Thomas in the 2019-2020 Season. 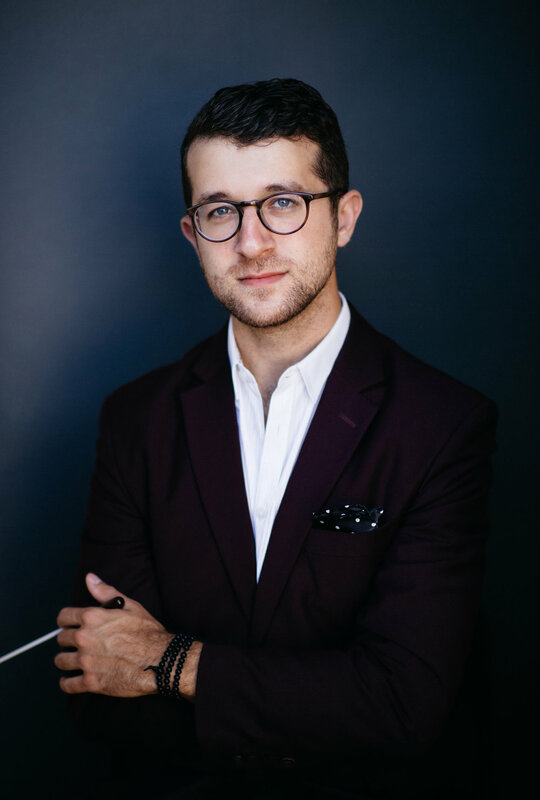 In the 2018-19 Season, Chad serves as an Assistant Conductor to the San Francisco Symphony, assisting Esa-Pekka Salonen, Manfred Honeck, Francois-Xavier Roth, Pablo Heras-Casado, Simone Young, and James Gaffigan. Along with his symphonic work, Chad also serves as a cover conductor for the San Francisco Ballet. As Founder and Artistic Director of Elevate Ensemble, Chad's “courageous” and “ambitious” (San Francisco Classical Voice) vision for concert programming results in the pairing of music from Bay Area composers with underappreciated gems of the 20th and 21st centuries. Under his leadership, Elevate Ensemble has established a Composer-in-Residence program, served as Ensemble-in-Residence at San Francisco State University, and commissioned fifteen works from Bay Area composers. Chad currently serves as Music Director of the Contra Costa Chamber Orchestra in Walnut Creek, California. His work with the orchestra continues to garner high praise. A driving force in the new music scene, Chad has conducted the premieres of more than fifty works. From 2016 to 2018, Chad served as Assistant Conductor of the Peninsula Symphony Orchestra. He has previously served as Conducting Fellow for the Atlantic Music Festival, collaborated with GRAMMY-winning composer Mason Bates on his electronica-classical music project, Mercury Soul and has previously assisted Daniel Harding, David Robertson, Yan Pascal Tortelier, and Juraj Valčuha with the San Francisco Symphony. Chad holds a Bachelor of Music degree from the Eastman School of Music and a Master of Music degree from San Francisco State University. His mentors include Alasdair Neale, Cyrus Ginwala, and Martin Seggelke. "There was an overwhelming sense of danger in the way director Chad Goodman pushed the players to expressive extremes. Yet this wasn’t some messy free-for-all — Goodman charted a clear formal trajectory, taking his time with the ascending stacks of fourths and Tristan-like pillar chords that serve as structural markers throughout the piece." "Elevate offered a performance brimming with ecstasy"
"the group [Elevate Ensemble] did manage to channel the energy of an all-out brawl into their exhilarating interpretation." "Conductor Chad Goodman led the work [Mason Bates' Garages of the Valley] with energy and precision, producing an impressive result in the playing." "Under the direction of Chad Goodman, harpsichordist Derek Tam and the members of Elevate...ignited their intimate performance space while shattering stereotypes about how a harpsichord should sound." "Goodman provided a smooth and intimate account of of the ensemble writing of both composers [Rodrigo and Respighi]."